On July 25, 2017, Creative Medical Technology Holdings, Inc. (OTCQB:CELZ), a clinical-stage stem cell company, announced preclinical data showing exosomes harvested from its patented AmnioStem amniotic fluid stem cell, selectively inhibit growth of glioma brain cancer cells. 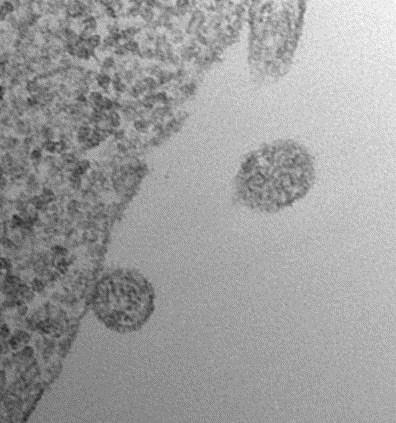 Exosomes are nanoparticles generated by a variety of cells that are critically involved in intercellular communication. The company previously filed patents on the use of AmnioStem-derived exosomes for treatment of stroke. The AmnioStem technology was originally licensed from the University of California San Diego (UCSD), under an exclusive agreement covering issued US Patent #7,569,385. "Having seen first-hand the devastation and lack of treatment options in glioma patients, I am excited about the prospect of developing a non-toxic biological approach that eventually may provide benefit to this group of patients," said Santosh Kesari, MD, PhD, FANA, FAAN, Chair and Professor, Department of Translational Neurosciences and Neurotherapeutics, John Wayne Cancer Institute, as well as Director of Neuro-Oncology, Providence Saint John's Health Center, and who leads the Pacific Neuroscience Research Center at Pacific Neuroscience Institute. "The filed patent application contains data showing that while AmnioStem-derived exosomes inhibited proliferation of glioma cells, other stem cell types actually increased proliferation of glioma," said Thomas Ichim, PhD, Chief Scientific Officer of Creative Medical Technology Holdings. "We are currently working under the possibility that AmnioStem stem cells may possess unique biological properties that are different from other types of stem cells." "From a commercialization perspective, exosomes are simpler to manufacture, store, and deliver as compared to living cells.